Fat gets a bad rap — but is it fair? Fat — it gets a bad rap, doesn’t it? But is its reputation fair? Although saturated fat and trans fat clearly have been shown to increase our risk for negative health outcomes, monounsaturated fats and polyunsaturated fats do quite the opposite. Isn’t it time we re-evaluate the fat in our diet to ensure we are truly getting the biggest bang for our nutritional buck? Let’s start with the basics. Why do we even need fat? Fat provides the human body with roughly 34 percent of the energy it needs to function during the day. It holds the organs and nerves within the body in position and adds a little extra padding to our backsides and other areas to protect the bones from pressure and shock. In addition, fat helps insulate the body. Fat is essential for the digestion, absorption and transportation of vitamins A, D, E and K. A 2012 study found that individuals who ate their salads with either fat-free or low-fat dressings missed out on all the wonderful carotenoid compounds — which have been shown to help reduce heart disease and certain cancers. And fat allows the body to feel full for a longer period of time and prevents hunger shortly after meals. Let’s not forget the flavor and texture fat adds to a good meal, either. Still, it’s essential to choose the right fats and eat them in appropriate portions. Four legs: Eat less meat that comes from an animal with four legs, such as a cow or a pig. Two legs: Chicken and other two-legged animals are OK, but strip the skin and focus on the white meat portions of the animal. Saturated fats are found in some plant sources as well. Think tropical — if it sounds like it came from a beautiful island, it probably won’t be so pretty in your body. Tropical oils include coconut, palm, palm kernel and cottonseed. Foods that contain any amount of trans fat are also on my no-no list. You’ll find it in cookies, crackers, cakes, margarines and most commercial baked items. No amount of trans fat is good for you — the evidence is clear on that! Trans fats have been shown to be a possible contributor to a number of negative health outcomes, including increasing our risk for stroke and inflammation. When grocery shopping, if a product has a tropical oil in the first 5 ingredients or partially hydrogenated oils anywhere on the label, put it back on the shelf. 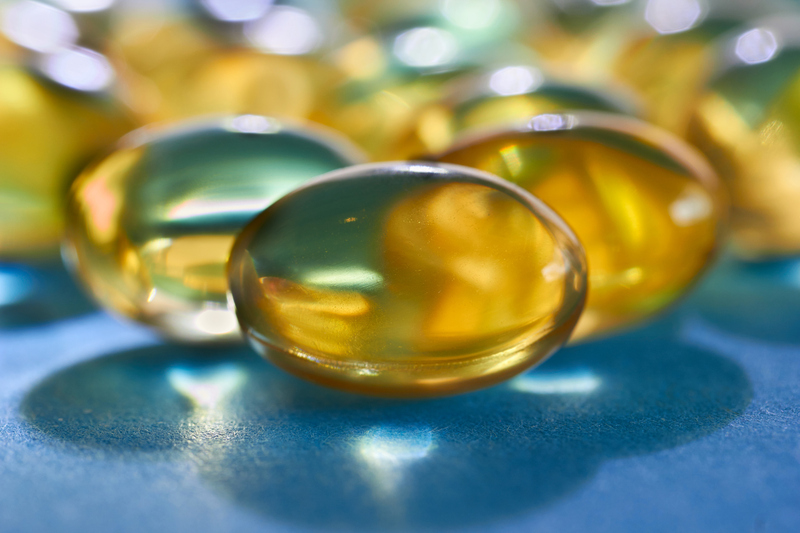 For the best dietary benefits, stick to monounsaturated fats and polyunsaturated fats such as omega-3 fatty acids. Monounsaturated fats are found in foods such as canola oil, peanut oil, olive oil, nuts and avocados. These foods have been shown to lower cholesterol levels, and increase your HDL (“good”) cholesterol, helping to keep your heart strong and disease-free. Healthy monounsaturated fats also help to keep you satisfied for longer after eating — a great a benefit for those looking to lose a few pounds. Polyunsaturated fats also have benefits directly linked to heart health. 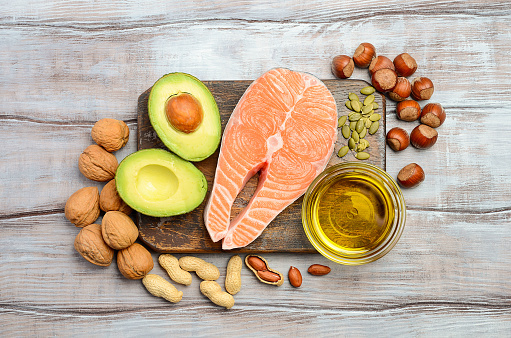 Add polyunsaturated fat to your diet by eating foods that contain omega-3 fatty acids, such as salmon, tuna, trout, canola oil, safflower oils, walnuts, soybeans, flax seeds and chia seeds. In my next post, I’ll offer five tips for getting the best fat — and the most flavor — in your diet. Stay tuned! Nutrition student Julie Kane contributed to this article.